Thank you to Samantha Randall from Top Dog Tips for sharing her safety tips for hiking with your dog. If you’re reading this, chances are you love the great outdoors as much as I do or you’re planning to take your dog out for an exciting adventure. There are lots of great dog friendly trails all over the U.S. filled with scenic views and opportunities for you and your pup to explore together. However, if you aren’t careful and prepared, this trip may end in a visit to the vet, or at the very least result in your pooch getting injured. Even though it’s unlikely to happen, you have to consider the fact that your dog could fall victim to disease, injury, or illness during a hike. He may even get lost while on an instinctive scavenger hunt in the forest. It’s important to be prepared every time you take your dog on an outdoor adventure. We hike with our dogs – a Boxer, a Labrador retriever and a Beagle/Cocker Spaniel mix – frequently. I am a self-proclaimed expert at being prepared to hike with dogs. Over the years, I’ve shared these tips with other pet owners, and today I’d like to share them with you. 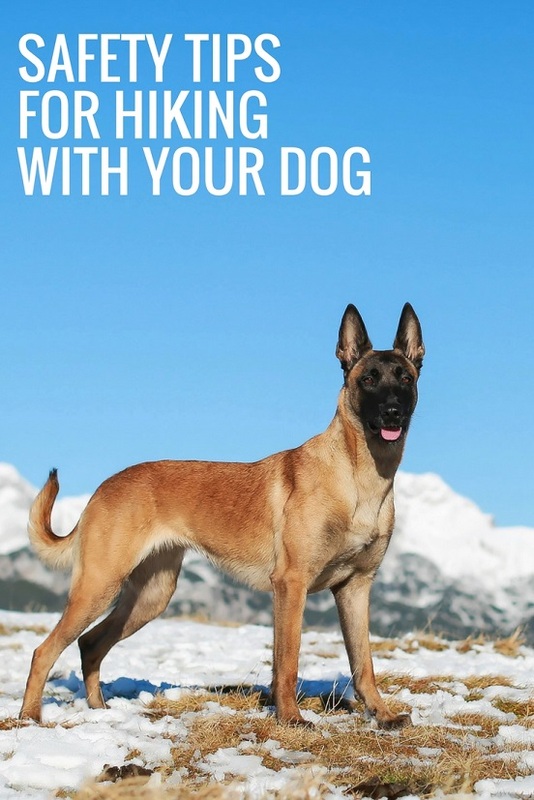 If you follow this quick guide, it will ensure your dog’s safety when hiking. Not all paths are suitable for taking your dog along. You should avoid trails with sharp rocks or very steep climbs. Also, try to avoid places that are frequented by mountain bikers or those riding horses. Such trails have a rough terrain that may not agree with your dog’s soft paws. Your pooch may also be disturbed by the presence of riders. If you don’t have a particular place in mind, you could easily find one in your state over at HikeWithYourDog. If there’s a trail in your area you haven’t explored, ask someone for advice. See if a friend or family member has hiked the trail or look online for references from hikers. It really isn’t a good idea to take a puppy out into the hills unless you’re prepared to carry him the whole time. I for one couldn’t help it, so I invested in a really convenient dog carrying pack for my puppy when she was just a few months old. This is a great option for short hikes, but it could be hard on your back if you’re not used to carrying a lot of weight. On the other hand, if your dog is old enough, don’t expressly take him out on an ultra-long trip all at once. Condition him by getting him used to the outdoors to harden his paws and build his stamina. You may also want to purchase some dog booties if you’re worries about the pads of his feet. Consider your dog’s age and energy level before planning a hike. Even a short hike could be too much for a senior dog. If your dog is more sedentary, he might not enjoy a walk in the woods as much as you think. Plan short hikes for the first few trips to see if your dog enjoys being in the great outdoors. Chat with your vet before striking off on your first hiking adventure. They will make sure your dog is up to date on his vaccines because rabies, Lyme disease and canine distemper are out there lurking. They may also give your pup a brief physical exam to make sure his body is up to the task. They’ll look for any wounds that may be open for infection. If your dog is not ready for a hike, your vet will let you know. In certain areas, it’s smart to keep your Fido on a leash, particularly when there’s a lot strangers with other dogs around, or you’re in an area where your dog could easily get himself into trouble. 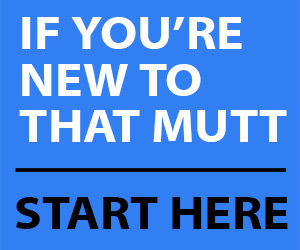 Ensure that you’ve taught your dog how not to pull on the leash, since it’s going to be one of the most important commands for him to listen to. Here’s a tip: don’t use a retractable leash. These leashes are convenient for everyday use and short walks, but dogs may be more excited out in the wild and you both will have issues with retractable leashes. Harnesses are also especially helpful. You can secure a harness in the car, which prevents your dog from jumping around the vehicle, and they keep him safe while on the leash. Harnesses distribute the pressure of the leash throughout the chest, as opposed to collars which only distribute pressure along the neck. Harnesses are also easier to hold on to if you come upon other hikers and don’t have time to secure a leash. Speaking of training, your dog should be able to respond to some of the most basic commands such as “come” and “stay.” You could also teach him an emergency recall command that would ensure he drops anything he is doing and runs back to you immediately. This is especially useful if he wanders off for too long or disappears in the forest. Either way, make sure you know your dog well before going on longer hikes where things can go wrong. How much food and water you need to bring with you on a hike depends on a variety of things: how much do you and your dog eat, how long you’ll be out there, the weather, the area you plan on visiting and how likely is it you’re going to overstay or maybe even get lost. Estimate how much you will need before setting off and then bring a little extra water for yourself and your dog. Dehydration, especially in dogs, is very likely when on hikes, particularly in warmer months, and it can turn into a huge health problem. If you have a large breed, he can do some of the work for you. Investing in a hiking backpack for your dog is a great idea if your pet is strong enough to carry his own supplies. Our lab wears a backpack to carry her collapsible bowls, food and water when we go on a hike. It takes a few pounds off my back, which is a HUGE help! Do some research before outfitting your dog with a pack. It should not be any heavier than 20% of your dog’s weight, and you need to make sure you buy a pack that fits properly. Backpacks that are too loose or too tight can result in chaffing or lacerations that will make the hike miserable for your Fido. It’s likely you’re prepared for this, but you shouldn’t let your dog eat anything he finds out in the wild. You never know when he may come across poisonous mushrooms or berries, contaminated water or a type of toxic plant. He could also drink bacteria from an infected stream or pool of water. There are tons of dangers for dogs out in the wild, and there have been many cases where dogs either got very ill or died from ingesting something they shouldn’t have. 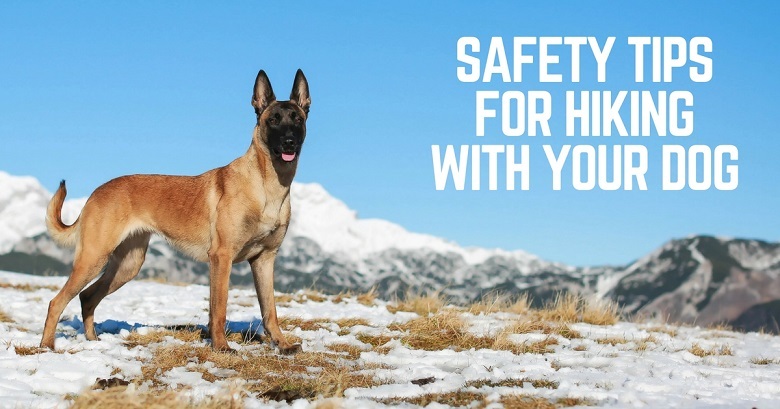 It’s for this reason that you must ensure you bring along lots of water before you go out for your trek, a first aid kit and also be prepared to stay close to your dog at all times. When hiking together with your pooch, commands such as “drop it” would definitely come in handy. Suppose your dog sees or hears a squirrel running somewhere in the horizon, and his instincts kick in. He’ll try to chase after this “prey.” All of this will likely result in your dog getting lost or injured. Be prepared that there may be other animals out there on a hike. Depending on the area, you may see horses, snakes, cougars, coyotes, cats and other dogs. At this point, I can’t over-emphasize the importance of proper training and being certain that your dog will listen to you. If you are not 100% sure that your dog will listen to you, keep him on a leash at all times. Knowing the exact weather and what to expect can be helpful. Snow can be dealt with just by putting on a sweater and maybe even getting one for your pooch, but high heat and strong rain will be more challenging for both of you. There’s not much you can do if the rain catches you off-guard, but make sure to dry your dog as soon as you get to the base. Dogs can get hypothermia too, so play safe. Keeping an eye on the weather in the days leading up to a hike will be a huge benefit and help you to plan accordingly. Hot weather is the hardest to deal with when hiking with a dog. While going for your trek, take it slow, take a break and rest a little in the shade as often as you can afford to. But above all – and this cannot be stressed enough – stay hydrated, and keep your pet hydrated too. If you observe one or multiple of these symptoms while on a hike, it’s time to take a break and give your dog some water right away. If you believe that your dog is dehydrated, turn back immediately. Take it slow on the way back, and carry your dog if possible. Take your dog straight to the vet for an IV of fluids just to be safe. If you’re an avid hiker, then you know this, but if it’s going to be your first time, then you’d be surprised how easy it is to get lost even on the shortest hikes. This usually happens when owners choose to seek adventure in all the wrong places. If there is a trail, it’s probably there for a reason – to help you find your way through the safest route possible and get back home, too. Stay on the trail! Don’t forget that the point of going out for a hike with your dog is to be free from the daily labors and enjoy some quality time together. Don’t be too worried if your dog is having a good time either – trust me, he’ll have the time of his life. Don’t smother him too much, and give him time to sniff around and explore; as long as you observe what he’s doing, it should all go well. Are there any additional tips you would add to this list? 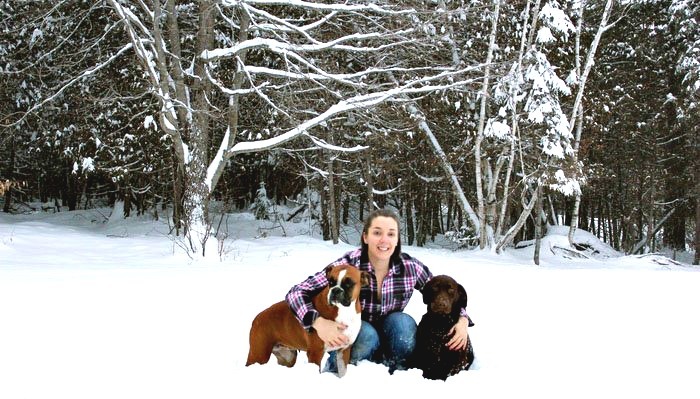 Samantha Randall is a blogger from Top Dog Tips, a site that shares info on dog supplies, pet technology and dog related businesses. Hiking is one of our favourite activities, and these are all good tips–especially the weather forecast. Baxter went through all of the water I was carrying once and overheated on a walk. After laying in the shade for awhile to cool down, some other hikers came by and shared their water. It was a scary experience. Oh my gosh, that must’ve been scary. Ace got too cold while hiking/camping in the winter. I had always had long-haired dogs (golden retrievers) and it didn’t really cross my mind that he would get too cold. The poor guy had only lived with us for about three weeks and we took him winter camping in Minnesota. During the day he had been running around in the snow and stayed warm but when it got dark, he was shaking so bad and his fur had gotten wet, which made it worse. I was holding him by the fire and ended up giving him my sleeping bag! We bought him a vest after that. Awesome post, thanks for sharing! Thinking of doing this in the future.